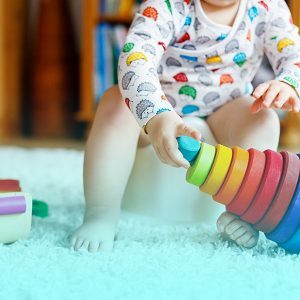 We offer unique, interactive child care for children 24- to 36-months old. Your 2-year-old is getting more and more personality and interest — and dislikes — with every passing day. When they attend our daycare center for our Twos Child Care, you can expect them to grow and begin to recognize likes and dislikes in others as well. They’ll learn how to take turns, be patient, and develop social skills with the help of our preschool teachers and Creative Curriculum. Visit one of our four locations — in Davie, Cooper City, Pembroke Pines, and Weston — today for a free tour. Why choose Lil’ Rascals Academy for your 2-year-old? Our professional, trained staff can help navigate the “Terrible Twos” by encouraging patience and recognizing the needs of others. Your child will work on learning new concepts in both language and math. By being in such a fun environment with other 2-year-old, your child will develop social skills and have lots of fun every day. The 2-year-old classroom if full of fun, and it’s also clean, bright, and full of preschool activities your child will love. Our licensed daycare offers free tours to interested parents. Schedule yours today to see the difference our preschool could make for you! The two-year-old classroom is an abundance of energy and excitement. Children are beginning to develop an understanding of what pleases them but are still unaware of the needs of others. Through creative role playing and literature, the staff helps children to understand the feelings of others, practice taking turns, patience and other social skills. In addition, your child will be learning new concepts designed to further their skills in language and math development. The two-year-old classroom students are beginning to develop an understanding of what pleases them, but are still unaware of the needs of others. 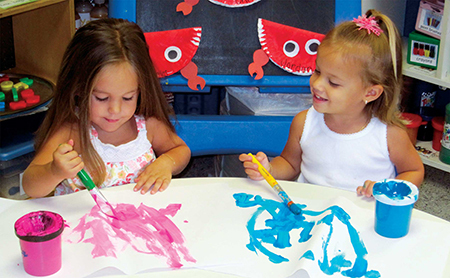 Talk to us today about our unique preschool in Davie, Cooper City, Pembroke Pines and Weston.